13. 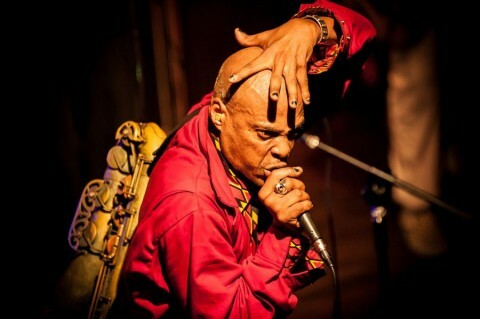 Alcoholic Spoken word by Norwood before this song, Aye, aye , aye, aye, drink...is...good! 16. Freddie's Dead Final song of the 1st set. Great to see Dirty Walt back with Angelo & Norwood. Walter, you were deeply missed. The On Stage line up for this show is currently wrong and I'm not sure how to edit it. John McKnight, Dirty Walt, Angelo Moore, Norwood Fisher, Rocky George, John Steward in the back as usual, Dre Gipson did not appear. John McKnight handled the keyboards along with the trombone and guitar. 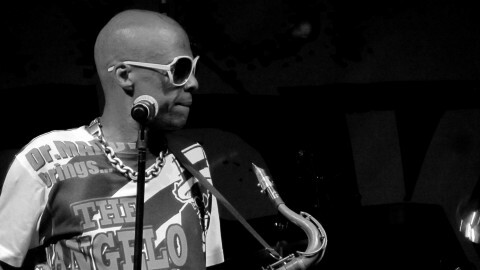 Description: Fishbone at the Avalon Ballroom in Santa Clara, Ca on December 16th 2010. 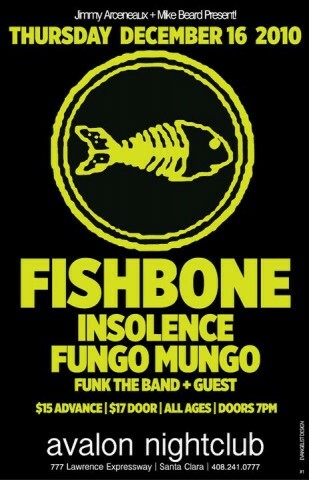 Part 1 of 2 for a complete 1 hour 45 min set of one of greats........Fishbone.